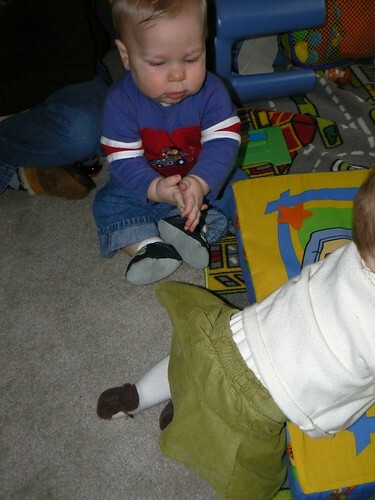 Okay, these pics are cute – he’s after the girls already. But, I have to ask, are those tights that have feet that look like she’s wearing mary janes? OMG those are cute!! Oh B you are really going to have your hands full with him! Oh my goodness, that’s too cute! Happy WW!